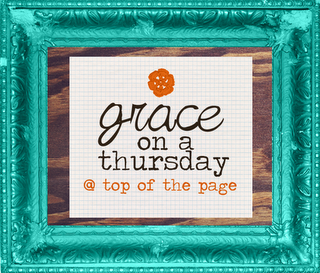 Leslie at Top of the Page invited me to guest post for her series Grace on Thursday. It was my pleasure to get to write about God's grace leading to obedience. I also used some great photos in the post taken by a great photographer. Please go check it out! Also, if you participate in Moxie Memorizers and live in Tucson (or want to come visit), we are finally going to have our scripture memory celebration! This is incredibly short notice, but the calendar is so packed that we are just going to have to schedule it and go for it! THIS Sunday night the 12th right after the gathering we will enjoy pizza and salad together. Pizza will be provided. Will a few of you bring a salad to share? We will spend time sharing what memory verses were especially meaningful, discuss strategies for success in 2012, and celebrate the discipline of taking scripture into our lives. Please bring your memory packet or whatever you use to keep track of your verses. If you joined in the fun of memorizing scripture in 2011, please join us. If you are committed to taking scripture into your life in 2012, then I would also like to invite you to join us (men included.) This will encourage your heart and strengthen your resolve in this journey. You have to eat after the gathering anyway, so don't skip out. We've waited a long time for this celebration! I hope you will join us! Please RSVP here if you can make it. what a great idea! memorizing verses = uber important. happy weekend to you! I loved your post. and the photos were amazing. beautiful. also, wish i lived close, i want to come!